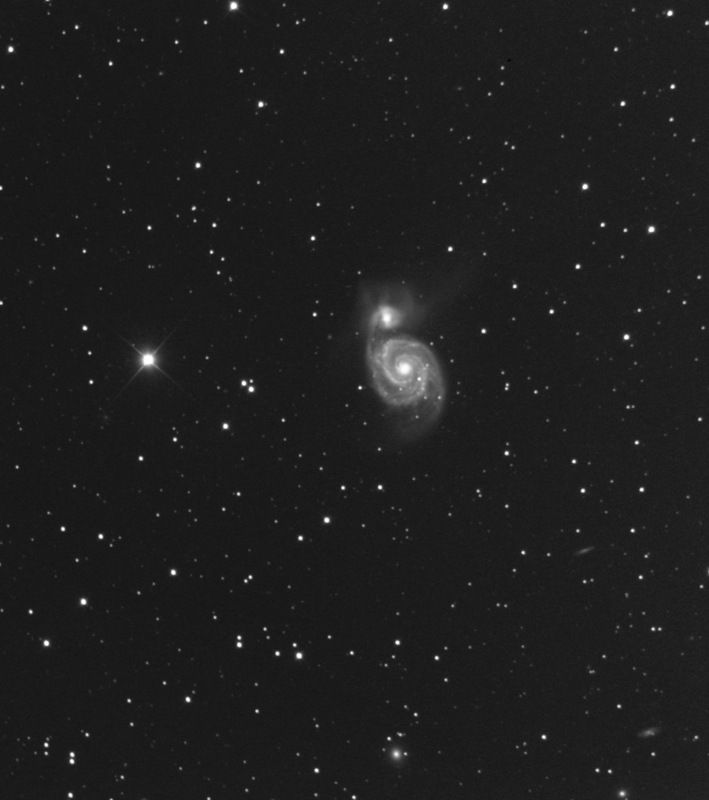 M51 is composed of the two galaxies, NGC 5194 and 5195. There a number of other faint galaxies visible. Image cropped for web display.